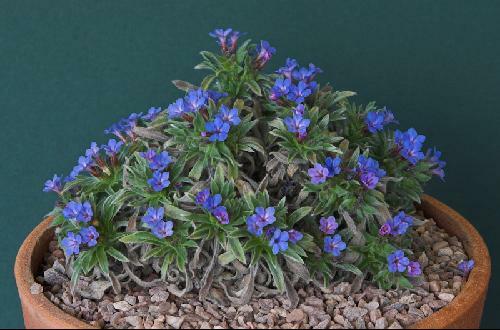 high in bloom, more or less white or grey-felted with velvety hairs. Leaves oblanceolate to oblong or linear, 2-6cm long. 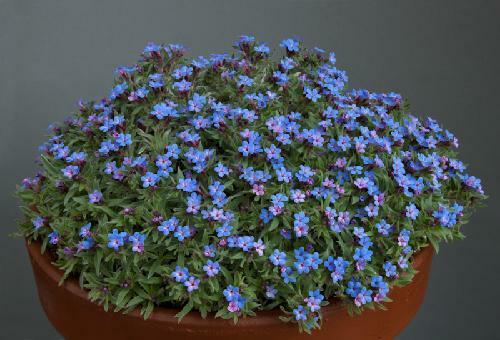 Flowers blue or purple, up to 1cm wide, in cymes 5-10cm long, spring to summer. Turkey, limestone crevices in oak and pine forest and garigue at 500-1000m.